Turn your SOPs into a key part of your continuous improvement plans with this practical guide. Do your SOPs work for your business? Standard Operating Procedures, or SOPs, are an essential part of any business to ensure that quality and consistency occur like clockwork amidst the busy-ness of day to day working. Unfortunately SOPs are often neglected in terms of their importance and this short book can help you to get so much more out of your SOPs by making them part of your day to day working as opposed to a document that gets filed away, never to be looked at again! Making them visual is only one part of the story however... Once you have an effective format you need to make them visible within the workplace; this improves usage, development and understanding. 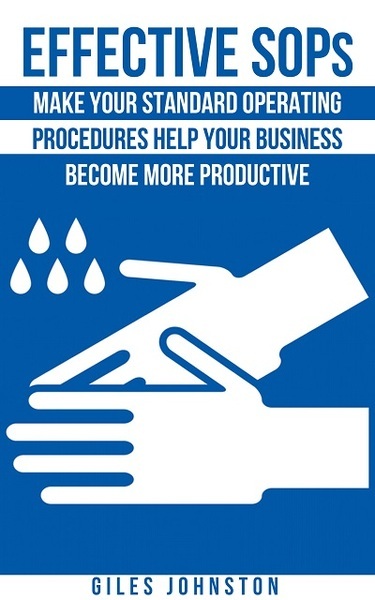 Whether you are new to SOPs or have come across this book as part of your lean manufacturing journey, the ideas contained in this practical guide can help your business whether you are primarily administrative in nature, service orientated, or manufacturing based. - A refresher on how SOPs can benefit your business. - The idea of writing pairs to write more effective SOPs. - Creating a ‘SOP map’ to better visualise and use SOPs in an ongoing way. - Linking your daily routines to your SOPs. Also included with this book is a link to five downloadable templates that you can use immediately whether you need a format for your SOPs to get you started, or something to review to get some ideas on how you could modify your existing format.